(VOVWORLD) - The National Tourism Year 2018 - Ha Long - Quang Ninh and the Carnival Ha Long 2018 kicked off on Saturday evening in Ha Long city under the theme “Ha Long - Heritage, Wonder, Friendly Destination”. This is the second time Quang Ninh province hosts the National Tourism Year, which is considered an ideal opportunity to boost the local tourism and further promote Ha Long Bay to wider international public. Carnival Ha Long kicks off on April 28th, 2018 with a brilliant parade. 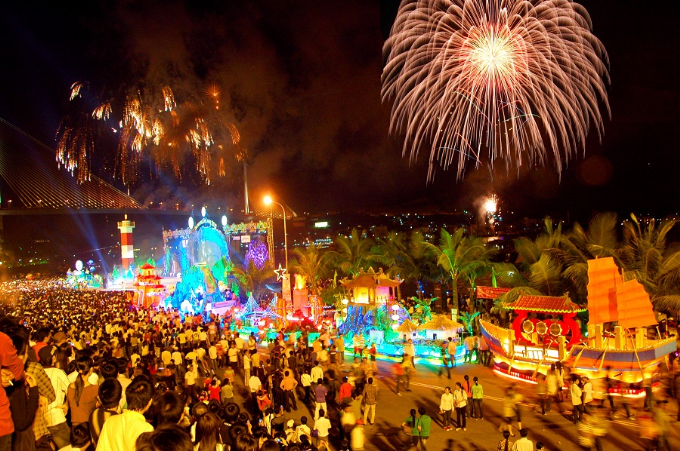 During the National Tourism Year 2018, a series of festivals will be held in 14 localities of Quang Ninh province. It is projected to host approximately 100 cultural, sports and tourism events throughout the year. The opening ceremony featured art performances and a firework display with the participation of around 2,000 local foreign artists from Brazil, Ukraine, China and Cuba, among others. Meanwhile, the closing program will be held in January 2019 in combination with the opening of the ASEAN Tourism Forum 2019 and the Ha Long - FLC 2019 open golf tournament. "As the host of the National Tourism Year 2018, Quang Ninh has upgraded the local infrastructure, reformed the institutions, enhanced human resource training, boosted economic restructuring to ensure sustainable growth in order to turn Quang Ninh into an international tourism center. ", said Vu Thi Thu Thuy, Vice Chairwoman of the Quang Ninh provincial People’s Committee. 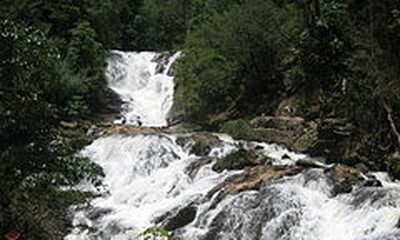 Deputy Director of the provincial Tourism Department Trinh Dang Thanh said meticulous preparations have been made to bring the local people and visitors colorful and interesting performances. "We’re restructuring our local economy with priority given to tourism and services instead of focusing on coal exploitation and construction materials. The National Tourism Year 2018 strongly reflects our determination to boost new growth models. ", said Thanh. A splendid parade took place on Thursday as part of the Carnival Ha Long 2018. A kaleidoscope of culture, history of tourism of the northern province of Quang Ninh was highlighted at the event, which was demonstrated through stellar performances by more than 1,000 domestic and foreign artists.